Honnor Marine builds the Original Devon Scaffie, Dabber, Lugger, Longboat, Coaster & Gig. We also specialise in refurbishing, upgrading and supplying parts for Drascombe boats of all ages. Have a look at our wide selection of Brokerage boats. Original Devon Boats are famous for combining stability, with classic lines, at an affordable price. All our boats are RCD category C and all mainsails are loose-footed for extra safety. Our shallow-drafted boats can be supplied with an easy launch trailer, so they are ideal for trailer sailing and exploring shallow waters where larger vessels cannot go. We build boats for Outdoor Adventure Centres, Scout Groups, the RYA Sailability Scheme and of course, families who love the outdoors and adventure. Our iconic look of tan sails, wooden spars and bronze fittings, evokes a nostalgic feeling that is appreciated by all ages. You can sail, motor or row and if you decide to camp, we supply a bespoke tent to fit all models. 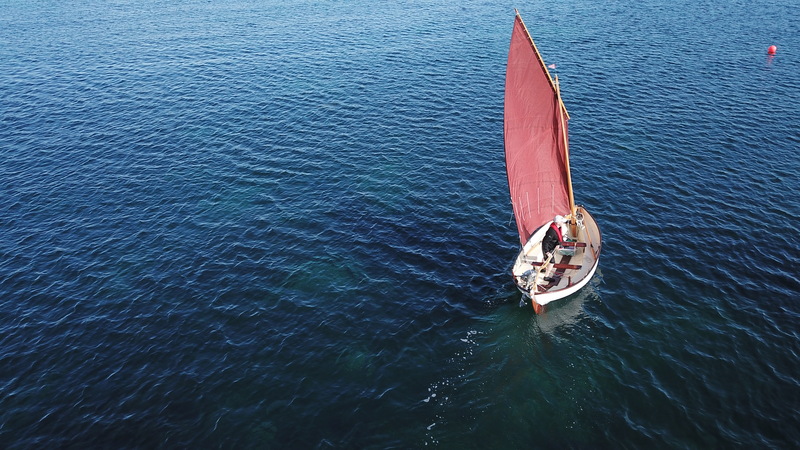 You will probably see more of our Luggers in British waters than any other type of traditional sailing boat sporting classic tan sails. There is a growing trend for sailors of larger boats to down-scale to an Original Devon Boat, thus saving on expensive mooring costs. Our trailer sailers are easy to launch, recover and can even be sailed single-handed. Our Original Devon Dabber and Scaffie are therefore becoming our most popular boats. These two boats are quick to rig as the mast and spars just slot into position. The Dabber takes only 20 minutes, including stepping the mast, whereas the Scaffie takes only 15 minutes as her substantial mast is unstayed. Due to the weight of boat and trailer, both boats can be launched and recovered by hand, providing conditions allow. They can also be kept at any dinghy club as their size fits into a large dinghy space.